Don Schreiber is a contributor to Writers on the Range, the opinion service of High Country News. He is a rancher in the San Juan Basin of New Mexico. My wife, Jane, and I own the Devil’s Spring Ranch in New Mexico’s San Juan Basin — one of the most active areas for natural gas production in the country. While our ranch can at times be quiet, we are never out of sight of a gas well, and not a day goes by when one of the 122 gas wells that surround our ranch isn’t leaking or venting. Not that long ago, there were three churches and four schools within a 10-mile radius of our place. Today, all of them are gone. In May of 2017, things looked hopeful for us here at the ranch when a bipartisan group of senators voted to uphold the Bureau of Land Management's methane and waste prevention rule from the previous year. But now, Interior Secretary Ryan Zinke has decided that the rule should be thrown out, allowing oil and gas wells to continue leaking, venting and flaring methane, a potent greenhouse gas. 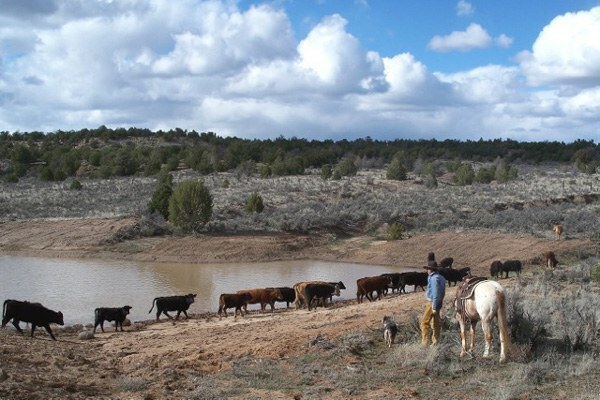 Devil's Spring Ranch in northwest New Mexico's Rio Arriba County. This felt like a punch in the gut. Instead of a rule that stops waste, captures lost royalties and taxes, and protects our clean air, Zinke caved in to the worst actors in the oil and gas industry. 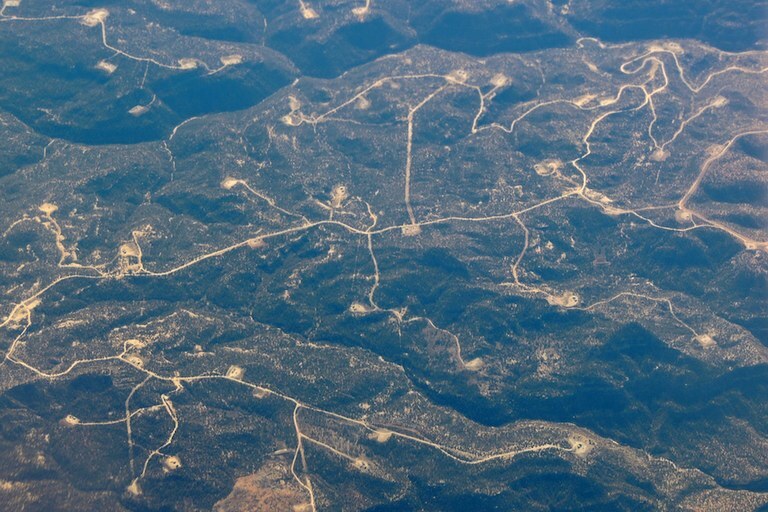 According to the BLM’s own analysis, Zinke’s proposal would actually reduce natural gas production from federal lands by 229 billion cubic feet — enough energy to heat 400,000 homes each year for the next 10 years. The BLM also found that his plan would cost Americans more than $1 billion in wasted natural gas and pollution. As if this new proposal’s complete senselessness weren’t frustrating enough, Zinke is systematically trying to limit public comment and engagement regarding it. The BLM has announced only a 60-day public comment period, with not a single public meeting. When President Obama’s Interior secretory, Sally Jewell, orginally proposed the methane rule in 2016, the BLM held public meetings in Farmington, New Mexico, Oklahoma City, Oklahoma, Denver, Colorado, and Dickinson, North Dakota. Additionally, the BLM extended the comment period by 14 days in order to make sure that all voices were heard. Zinke’s decision to cut the public out of the process sets a dangerous precedent and clearly shows his contempt for Westerners, who have demonstrated unwavering support for the 2016 BLM methane rule. Tweeti Blancett, a fellow San Juan Basin rancher and business owner, said she was appalled at the administration’s decision to waste a precious natural resource. Well pads dot the landscape in New Mexico’s San Juan Basin. It is time for Zinke and the Trump administration to stop these senseless attacks on the 2016 methane and waste prevention rule. The original rule was a win for everyone: It reduced waste, kept our communities healthy, and enjoyed broad bipartisan support in Congress. Perhaps more importantly, it was overwhelmingly supported by millions of Americans. Just last month, Colorado College released a bipartisan poll which found that 70 percent of Westerners continued to support the 2016 rule. When Jane and I bought our ranch 20 years ago, we dreamed that we would share the land with our grandkids. Now, the oil and gas operations on and adjacent to our land are making it difficult — and sometimes even dangerous — to fulfill that dream. These days, while Zinke sits comfortably in his office in Washington, D.C., too many Westerners like Jane and I live close to an industry that this government allows to harm our land, the air, and the very future of our world. That’s why it’s important for us to make use of the time we still have to protest the BLM’s lax methane regulations. Send comments on or before April 23, 2018, to Interior Department, Director (630), Bureau of Land Management, Mail Stop 2134LM, 1849 C St., NW, Washington, DC 20240. Attention: 1004-AE53. We all stand to lose if we continue to spew methane into the atmosphere.